Other: white gel pen, DMC floss, Bazzill cardstock, Tim Holtz Tiny Attacher. Other: white card base, white cotton twine, white thread, sewing machine, Scrapbook Adhesives 3D foam dots, Tombow tape runner adhesive. Today calls for a beautiful sunset, with a lovely butterfly no less. 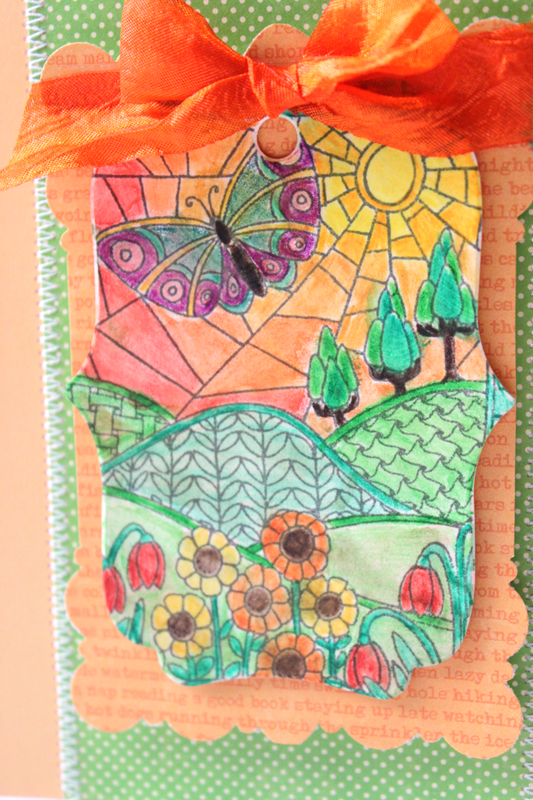 I am sharing a card that is all about coloring, a fun new stamp from Hampton Art and some complementary papers from Jillibean Soup set this scene on fire. 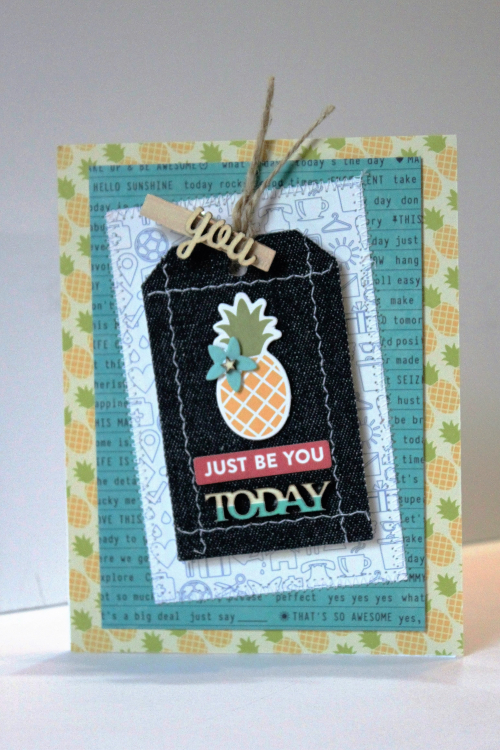 First step was to stamp in gray ink onto the cream deco tag. This stamp is much bigger than the tag, so I just picked the part of the scene I wanted most. Then I relaxed and colored it all in with watercolor pencils. Next I took a brush added some water and brought it all to life as a watercolor image. Then I set it aside to dry. 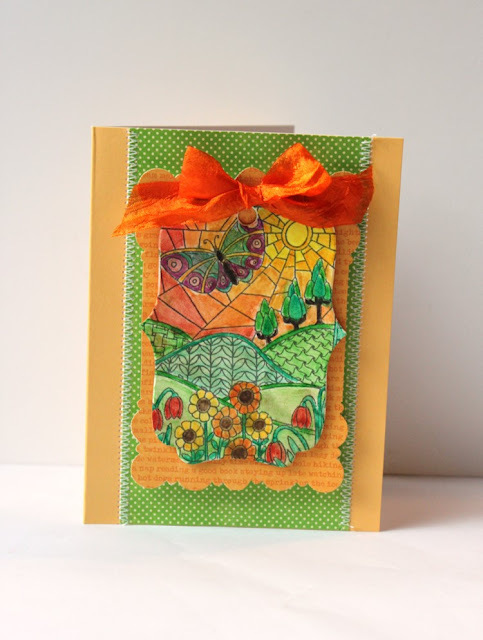 With a design this detailed the card itself can be quite simple, so I held true to that. I chose a card base in a matching shade of sunshine and added the green panel and the orange inset piece. The green panel I chose to sew onto the base for some added texture. The orange inset piece was corner punched with an EK Success punch for some added interest. Then it was attached to the card with 3D foam dots. Last I added the stamped and painted design with thin 3D foam dots. The finishing touch was the lovely orange crepe ribbon. 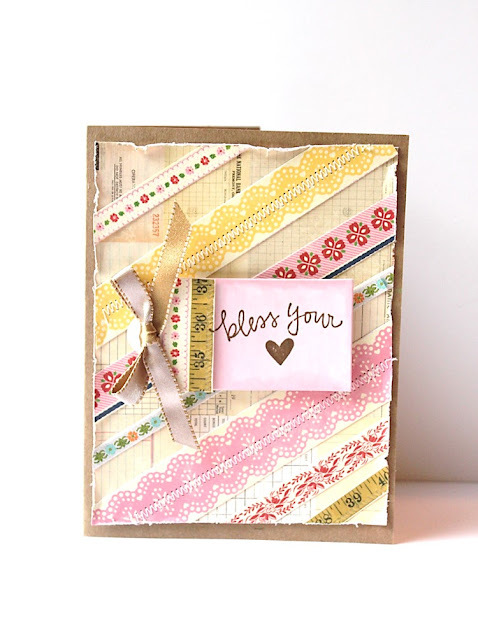 Today, we are sharing another super wonderful way to use Jillibean Soup's collection of tags. Design Team Member Nicole Nowosad uses the tags to create the following album, which is completely full of inspiration and ideas. Take a look! It is time to tell that bowler in your life to “Have a Ball!” This super fun Hampton Art/Art Impressions clear stamp set is a Bowler’s dream. 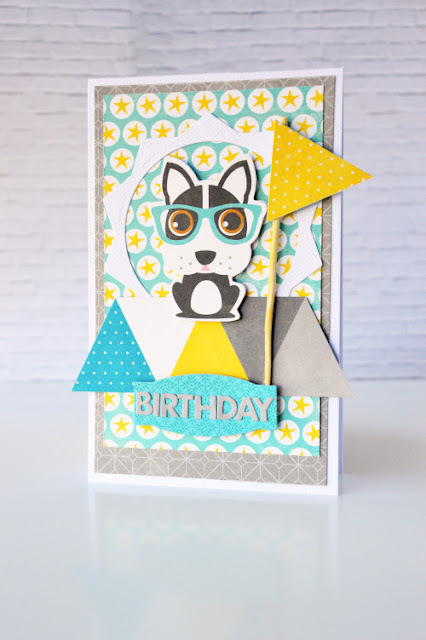 Such playful designs make a fun birthday card with the addition of a new Hampton Art tag. 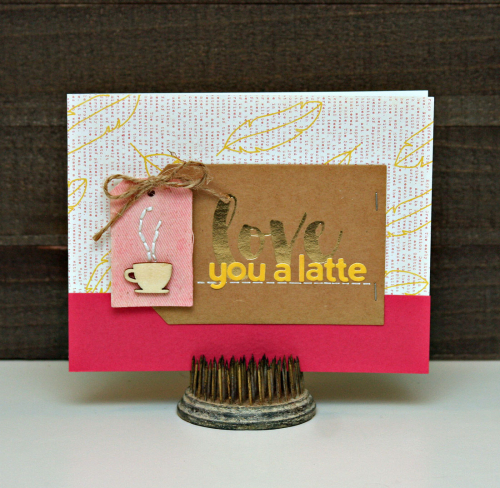 Starting out with a white card base I chose a pink and black palette. First I stamped the ladies bowler design onto white cardstock and set aside. Then I stamped the sentiment line across the bottom left of the card as shown. 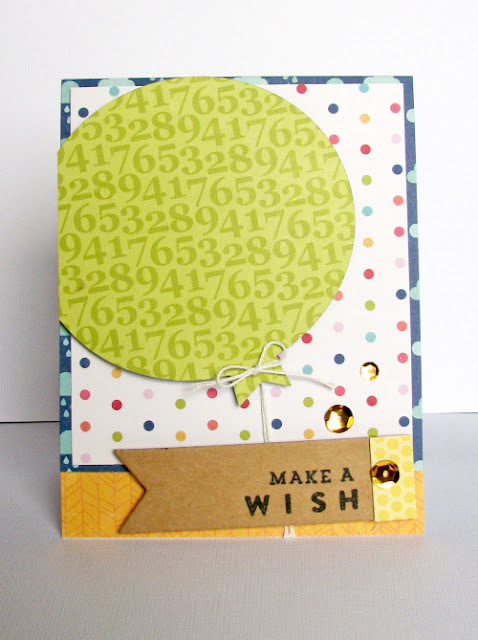 Then I border punched some pink cardstock for added interest in the center of the card as shown. 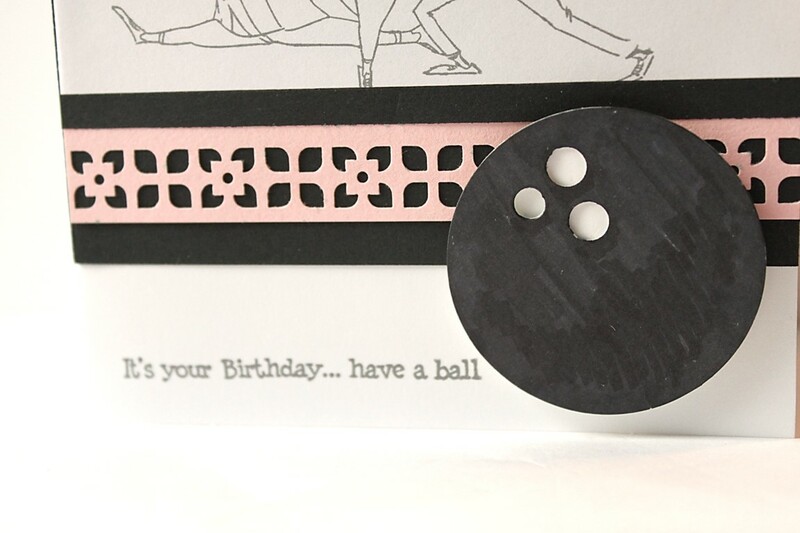 Wanting to enhance the bowler theme I grabbed one of the new Hampton Art circle tags and colored black with a black marker. Then I hole punched two additional holes making it into a bowling ball. 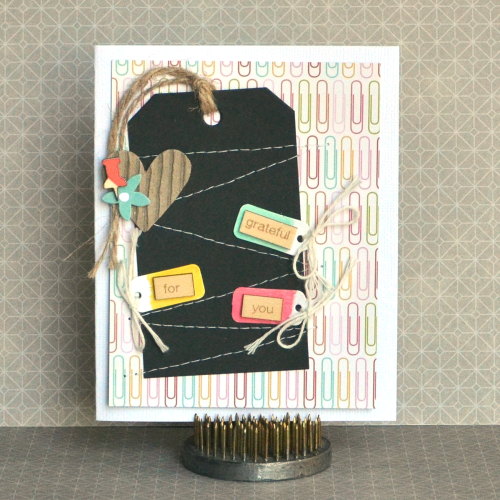 Then I just added some pink and black border strips across the card. Last I added the bowling ball with 3D foam dots. Pretty simple card, with a really fun theme. This set isn’t just for birthdays however, it can be used for women or men and has other fun sentiments included as well. Here is a photo of the full set, hilarious right? Jillibean Soup Holiday Shape Shaker Stamp Sets - Shipping Soon! Today I wanted to take a closer look of the new Holiday Stamps that coordinate with the Shape Shakers collection. These new stamps will be shipping in the next couple of weeks. 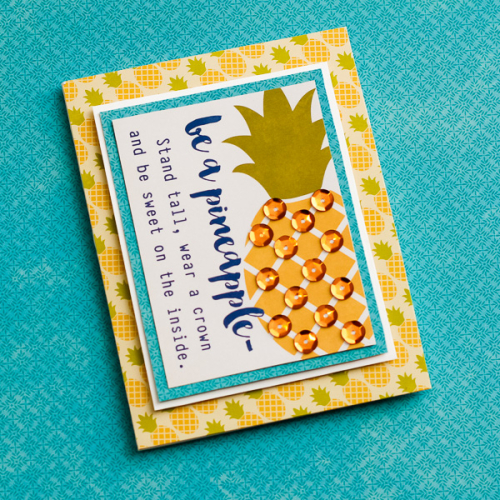 Perfect timing for you to find them and get started on your Holiday cards. Here's a closer look at the stamp sets. The Snow Globe set. 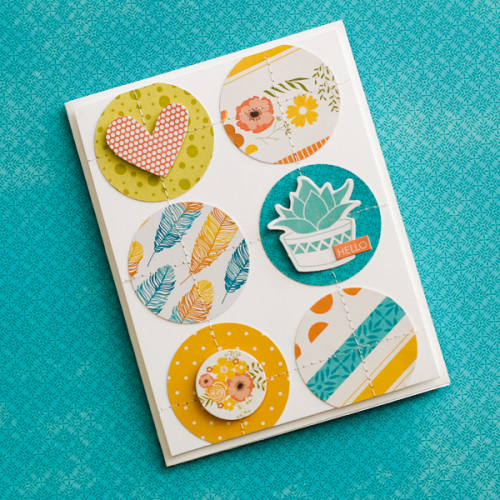 Perfect for use with the large circle set. The smaller stamps can also be used with any of the shakers. Peace, Love & Joy stamp set. This set is great to use with ANY of the shakers. The Ornament set is the perfect fit for the small circle shaker. The sentiments can be used with any of the shaker sets though. 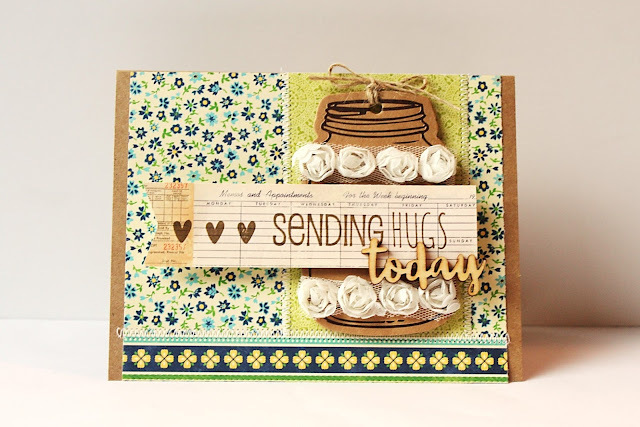 A sweet vintage look blessings card for a friend is up today. 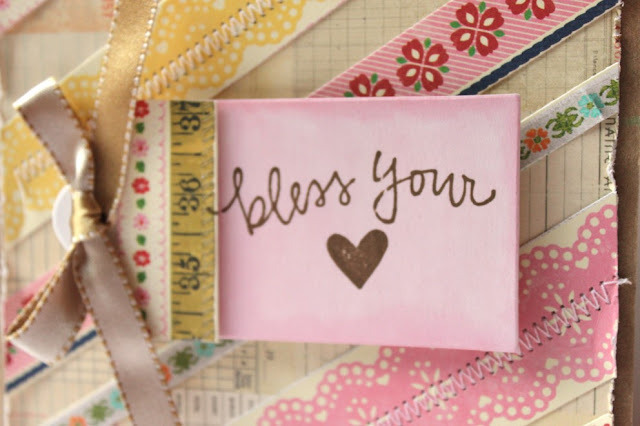 Can’t get enough of this sentiment from Hampton Art and it went so well with some older Jillibean Soup papers with a new Hampton Art watercolor tag. Beginning with a kraft card base I started with a mat of ledger paper and distressed the edges. 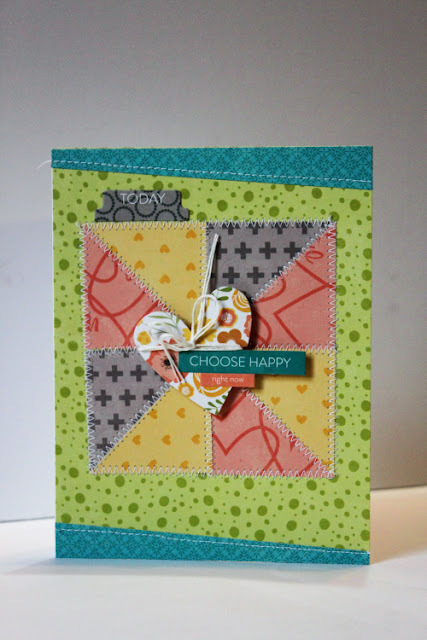 Then I added border strips from Jillibean mini pad diagonally across the card front. For some added texture I sewed a couple of the strips in place. That was adhered to the card base and next I grabbed one of the oh so pretty new watercolor tags in a cheerful shade of pink. Then I stamped the sentiment onto the tag in brown ink. Then I cut a couple more border strips for the tag topper and attached with foam dots. Then I added the tag to the card front as shown using 3D foam dots. A cream and gold two toned ribbon was the perfect last touch. We all have friends whose hearts need blessed, so thankful for those folks in my life. Share some love with your blessings today. 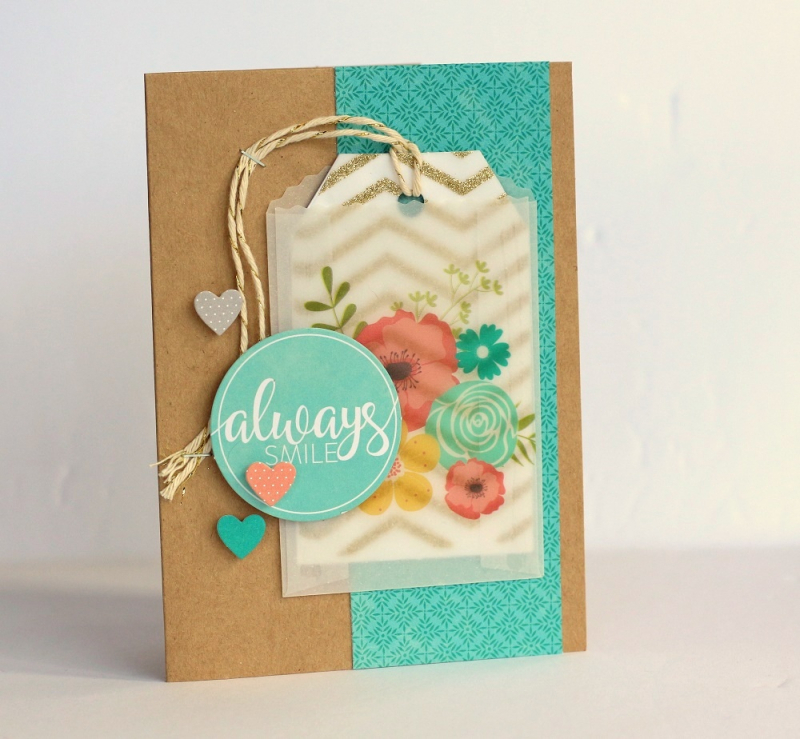 Once again I allowed the lovely mason jar tag to take center stage (I love this tag). For the tag itself all I did was add some ribbon roses and set it aside. Then I began to layer the kraft card base using some older Jillibean Soup 6x6 papers, the sizes of these patterns are perfect for cards. These papers came from the Grandma’s Lima Bean Soup pad and helped me accomplish the shabby chic look I was going for. First I layered the floral pattern as a backer then added the green doily paper panel and the border trim piece across the bottom. Keeping true to the style I had to stitch the papers into place onto the card base. Then I added the tag on with 3D foam dots. 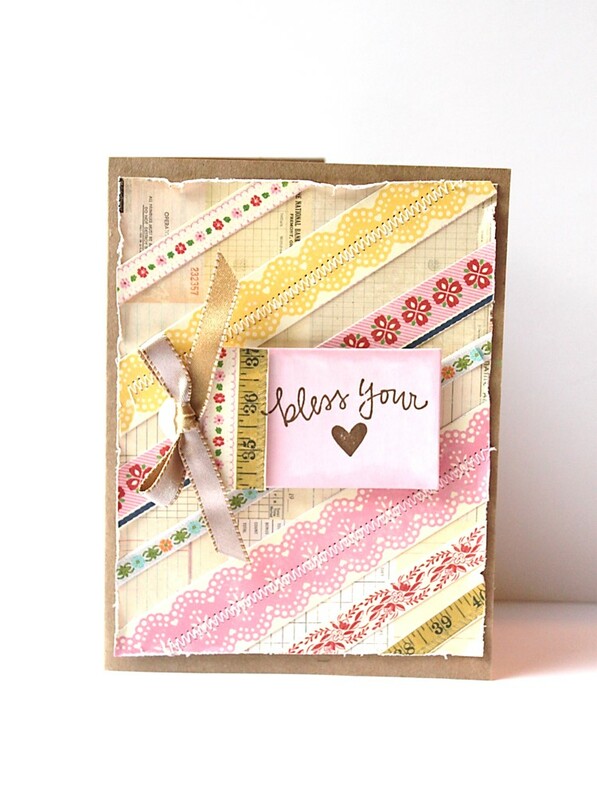 Next I stamped the sentiment and the hearts onto the ledger paper as shown making an extended banner. It was then added with 3D foam dots as well. Last I added a wood veneer piece “today” for a dimensional pop. 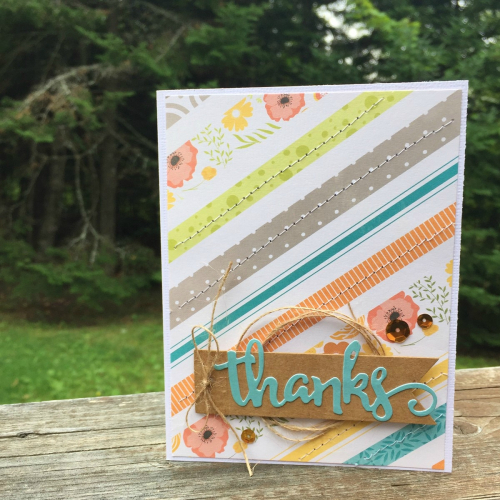 This card demonstrates one of my favorite styles, I hope you like it too. The best part of the new tags by Hampton Art is the big impact they have on a simple project like this. 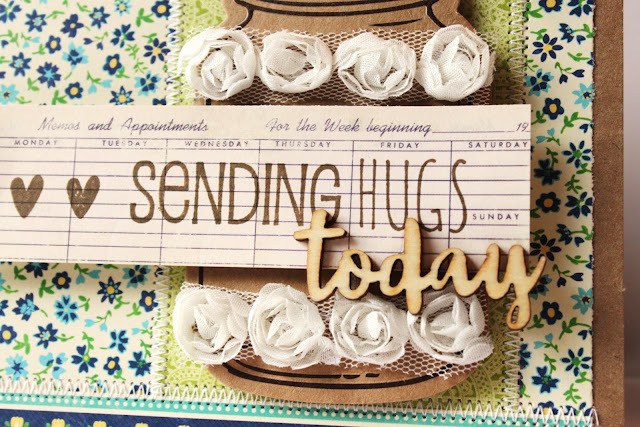 Never hurts to have a hugs card in your stash. Friday - Fun Day! 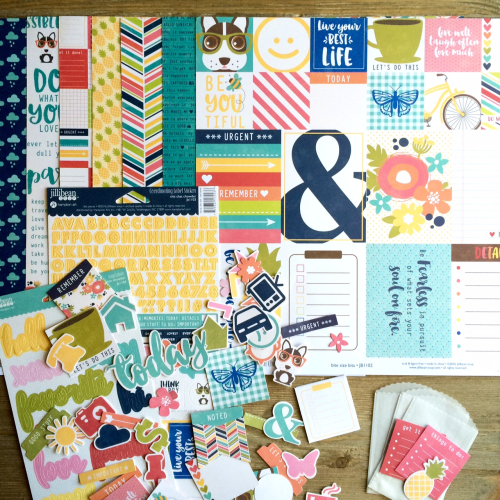 -- Scrapbook & Cards Today Giveaway! Today I wanted to make sure you guys knew that we had a giveaway going on with our magazine partner, Scrapbook & Cards Today! Head over to their blog for a chance to win the new Jillibean Soup Chit Chat Chowder collection!